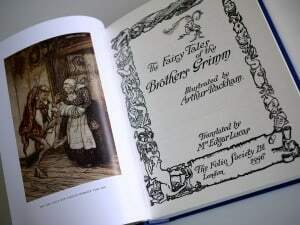 The brothers Wilhelm and Jacob Grimm are, of course, famed for fairy tales like Hansel and Gretel, Rapunzel, Rumpelstiltskin and Cinderella, which are known and loved by children the world over some 200 years after the brothers published their first collection of folk tales. However, the brothers were not just storytellers. They were also trained lawyers and linguists, and as such they were commissioned to produce the first German dictionary by a Leipzig publishing house, work on which began in 1838. The dictionary, known as the Deutsches Wörterbuch, or DWB, is one of the most comprehensive dictionaries of the German language in existence, giving a history and analysis of every word it contains. The initial instalments of their work were published in 1854, but sadly the task was so large that the brothers were unable to complete the full version in their lifetimes. Wilhelm Grimm died in 1859, having completed the entries for the letter D. It’s said that Jacob was unable to complete the letters A, B, C and E and died in 1863 whilst working on the entry for Frucht (fruit). A succession of other academics and institutes worked on the dictionary after the brothers’ deaths, but, due to funding and organisational problems, not to mention the unfortunate intervention of two world wars, it was not until almost a hundred years later, in January 1961, that the final version was published. Revisions to bring the work up to date and publish a digital version are now underway. If you’d like to learn just some of the 330,000 words contained in the DWB, you can learn German in London with our experienced native tutors. Contact us now to discuss learning options. This entry was posted in German Language Coach on 08/10/2013 by Stefan. In German: Is a Beemer he, she or it? Do German nouns have gender identity issues? Is it ß or double s?